It’s hard going through life always thinking there’s something bad waiting right around the corner. In essence, that is what anxiety is: never being at ease, always being on edge, and always prepared for the next worst thing to happen. Some of us experience it as a baseline symptom of daily stress. Anxiety can be created due to overfilled schedules, overwhelming workloads, and perhaps even stressful relationships with others—family, friends, co-workers, lovers, spouses. Others among us—well, we just have it. It can be the result of genetics, past history, or a full-blown anxiety disorder. And we usually have it entirely through no fault of our own. But sometimes, we don’t understand fully where anxiety comes from, or why—or even how to handle it, to say the least. It can also pour over into various other states of our health: shutting down our digestion, making us tired all the time, and even interfering with our social and professional lives. Regardless of why we may have it, does this mean that we are automatically powerless against it? Many of us, after trying countless medications, exercises, therapy, and even prescriptions may feel this way. However, if we look into the mysterious world of nature, the power of healing plants holds some interesting secrets and solutions that just might be able to help us through it. Many of us may have a clear idea of what we’re going through when it comes to anxiety. We know our mental health, medical history, and even family histories to know exactly what we’re dealing with. Some of us know and recognize anxiety as soon as we see it. But even then, some of us may get caught up in a whirlwind of symptoms that we don’t even understand. 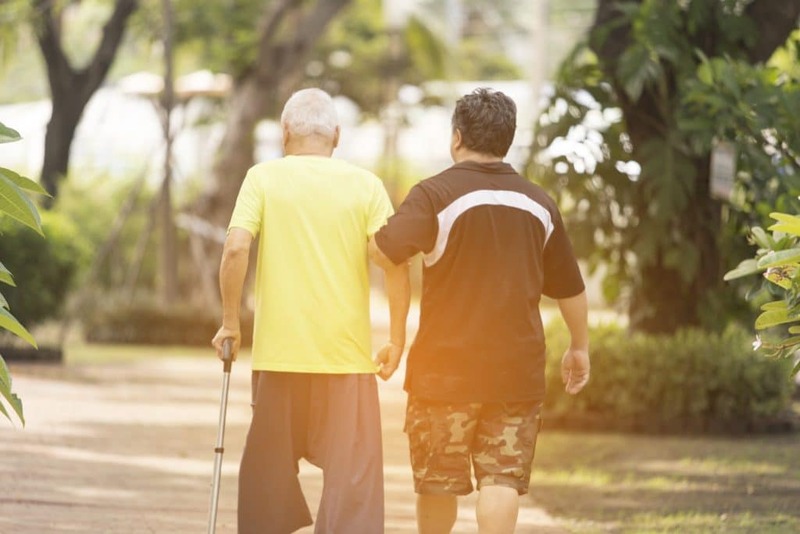 We lop them off to other reasons: being momentarily tired, fatigued, sick, or overwhelmed. But it stands to question: what are we experiencing? Is it anxiety? Here are some common ways to know and find out, as well as some symptoms. If people experience any of the above symptoms in the extreme, along with the below symptoms which are signs of more extreme anxiety, make sure to talk to a doctor before relying on self-care or home remedies alone to deal with the problem. While anxiety can be overwhelming—whether it’s subtle or extreme—there’s an important thing to remember: we can (and do) have the ability to control it. Sure, simple “mind over matter” rhetoric doesn’t always work for all people who experience anxiety. But that doesn’t mean someone must always just surrender to an anxiety takeover, letting the issue run their life. If anxiety’s got life spinning out of control, try some of the following tips to manage it. Manage and cut out stress. For anyone experiencing anxiety—whether it’s a disorder of temporary state of mind—there’s a good chance that it’s sourced from something stressful going on in life. If it can be managed, reduced, or changed, make sure to chop that stress out, and anxiety may improve over the long term in turn. Less work, more play, and more self-care. If anxiety could be related to too much work, then take more breaks. As pleasing as it is to meet deadlines and goals, taking time out for oneself is rejuvenating and stress-relieving and could be thought of as just another part of a great work ethic in the long run. Ultimately, it creates a lot more energy for jumping back into the game too, and more can be achieved. Eating certain foods and drinks can have a role in anxiety. This is especially the case if a lot of alcohol, caffeine, and coffee is consumed—both these substances can increase anxiety levels over the long term, especially caffeinated beverages. Start skimping on these, clean up the diet, and the results could be surprising. Staying active physically creates a natural boost in serotonin, which in turn can relieve anxiety, depression, and mood swings. Feeling stuck on that couch and doing nothing only feeds into the anxiety all the worse—literally. Get moving, however, and all that could change. Try yoga, meditation, breathing exercises, and mindfulness. For some, this can be of immense help: especially by carving out time in each day (or as often as is possible) to focus on inner calm and peace. The listed methods above can certainly help with this. But really, any sort of hobby (whether spiritual, creative, or other) that helps bring people back to themselves and a sense of presence, confidence, and identity can be an amazing tool against anxiety. Could anxiety be part of a bond or relationship with someone else? Certainly. If people are bothered by someone in their lives and it’s creating anxiety—whether it’s a co-worker, loved one, neighbor, or other—dealing with them directly to solve the problem can take care of a lot of the stress in one’s life which in turn creates anxiety. Sure, we’re powerless to change others around us and who they are. But it doesn’t hurt to try and repair our relationship with them. Some anxiety-fighting methods work for some people, however, they don’t always for everyone. What more, we can feel at a complete loss when all the above methods—some of which are considered the “status quo” for dealing with anxiety—just don’t work for us while they work for others. So what’s next from there? For some people, they think it ends when they’ve tried all the above methods, and they have run out of options. And yet, nature may provide a solution in the form of healing botanicals. In addition to the methods above, these time-tested herbs may help. They certainly won’t permanently cure anxiety—but on another level, they can provide a different angle of relief that may be missing from other methods otherwise. Many of these herbs have been used in traditional medicine since ancient times to help with anxiety, nervous-related issues, and more. What’s best of all: these same herbs have also attracted quite a bit of attention from research and science, basically confirming the anti-anxiety benefits people have trusted in them for over thousands of years. Try any one of these following herbs supported by both science and tradition, and see if one of these could be the special key to helping improve anxiety in its own unique way. Ashwagandha is a favorite tonic herb remedy from the ancient Ayurvedic practice of India. It is also called an “adaptogen” because it equips the body and overall health to better deal with the fallout effects of stress—including anxiety and its symptoms. Even some recent studies have vouched for ashwagandha’s anti-anxiety powers. In one study in 2012, subjects who took the herb experienced a drastic reduction of cortisol (the stress hormone) in comparison to those who just took a placebo. A later review in 2014 echoed the same results. Classically, the root has been used, though the berries and some of the aerial parts of the plant have been used as well. Fortunately for those that experience anxiety, ashwagandha is easy to obtain in supplement or extract form. An adaptogen just like ashwagandha, this herb (also from Asia, and also called gynostemma) has been similarly used as a tonic to protect the body from the wear and tear of stress and anxiety. 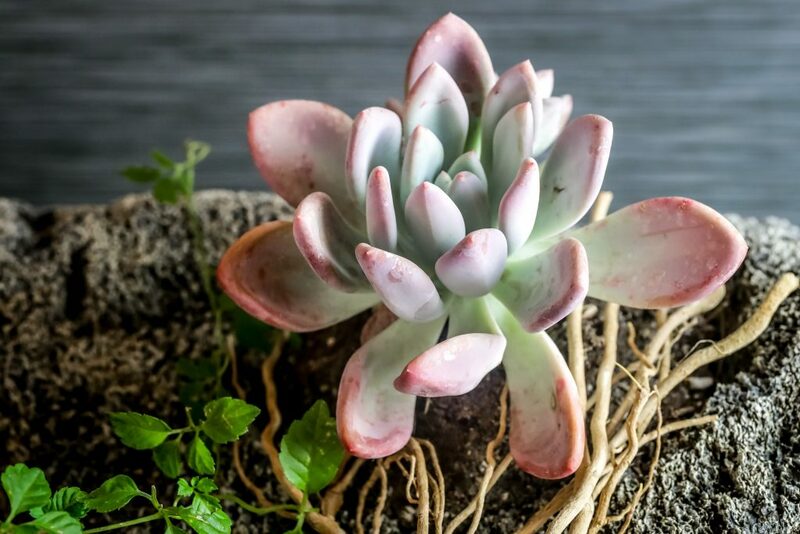 Its effects are so famous, denizens of this plant’s native region in southern China have been extensively studied—mostly due to them miraculously living to 100 years and beyond! Apparently, scientists think that this may be partially due to jiaogulan’s ability to stave off stress and anxiety. The less stress and anxiety experienced, the longer the years in a life. And while there haven’t been any human experiments into its potential in regard to anxiety specifically, studies on mice (in 2011, 2013, and 2015) have each shown immense potential. 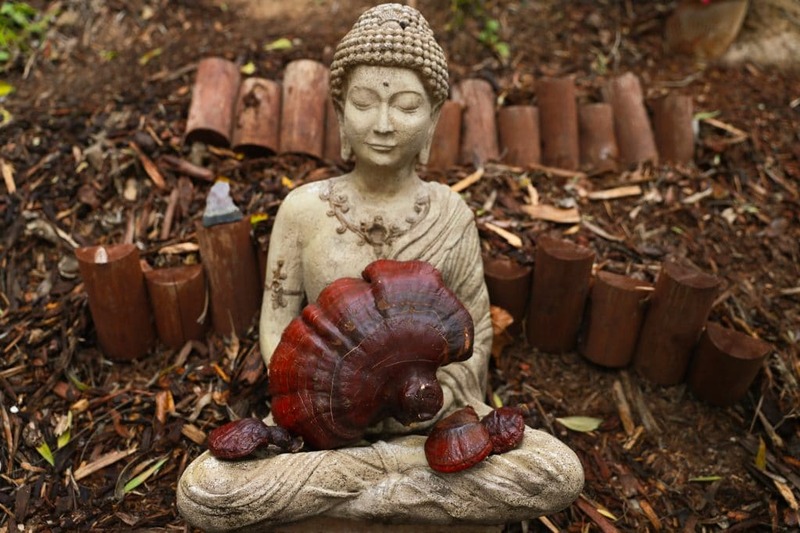 Jiaogulan—beyond just being a daily tonic—could in and of itself be considered a powerful anti-anxiety medication, maybe even better than some pharmaceuticals. However, more studies on people may be needed to know this for sure. In the herbal traditions of the Americas, passionflower remains one of the go-to anxiety remedies among herbal practitioners of many backgrounds today. That’s because it helps with so many different levels of anxiety: not just the actual jitters, but also the digestive part and sleeping part of the problem as well. While the fruit itself is delicious, sweet, and tangy, it’s the enigmatic, utterly unique flower that is responsible for passionflower’s powers. A 2011 trial showed that it could successfully lull people who suffered from insomnia into better quality sleep—and as many of us know, anxiety sufferers often also suffer from sleeping problems. Taking it a step further, a 2012 study of pre-op spinal surgery patients found that consuming the herb successfully helped reduce their nervousness, and better than a placebo. A similar 2013 on dental pre-surgery patients showed the same results: passionflower reduced their anxiety greatly, compared to both a placebo or taking nothing at all. Studies show that this herb, much like ashwagandha and jiaogulan, is an amazing Asian-originating adaptogen that can boost overall mood. While in the midst of protecting the body against the worst forms of stress in the meantime (including oxidative stress), it may literally help the brain and nerves handle the toughest part of the equation: actual anxiety itself. Like jiaogulan, though precise human studies of this are few, lots of research on stressed rodents shows quite a bit of promise (such as in this 2014 study). On the other hand, an earlier 2012 Chinese study found that an herbal blend containing schisandra (as well as astragalus and codonopsis root) had significant beneficial effects on the anxiety of college students heading into an important exam. 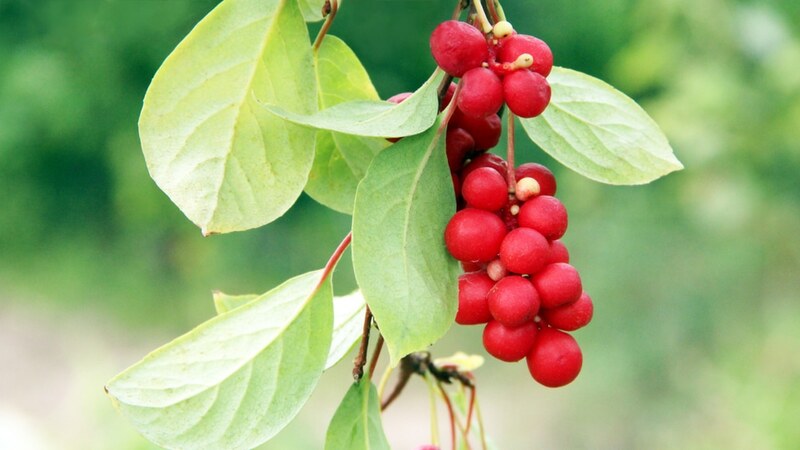 Of very interesting note: schisandra apparently had better long-term impacts on student anxiety than a pharmaceutical anti-anxiety drug used in the same trial. However, the anti-anxiety medication did start working faster than schisandra, while schisandra’s effects lasted longer. More studies are needed to fully understand how schisandra alleviates anxiety, as it is still somewhat mysterious. A 2012 study on mice suspects that it might just be the berry’s antioxidant effects: they are so powerful that they could actually be stopping the liver itself from producing anxiety-producing hormones (like cortisone) that make us feel anxiety in our brains in turn, typically due to oxidative damage. We have Africa to thank for this anti-anxiety remedy. 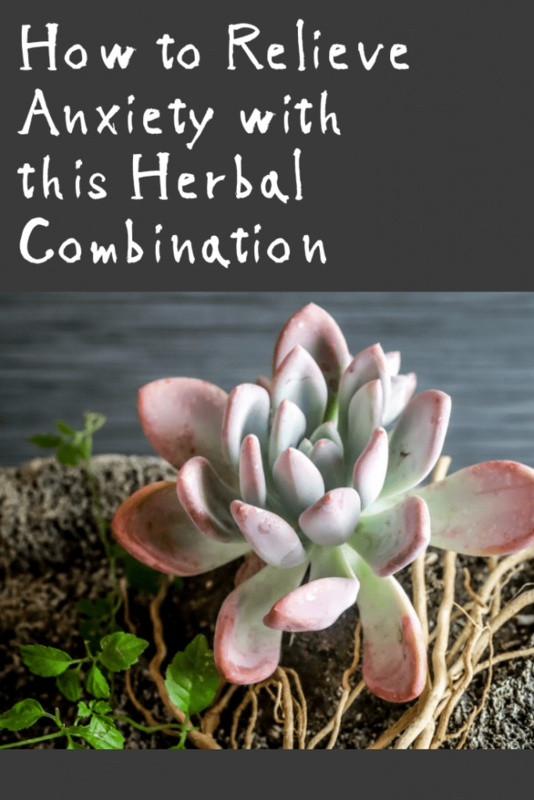 This tropical shrub, while it is not an adaptogen, has its own unique method for assisting the body as it handles stress—and in a way that other herbs simply cannot replace. This is because griffonia produces an amino acid virtually similar to 5-HTP. 5-HTP (5-hydroxy-L-tryptophan) is also a neurotransmitter in the human brain needed to produce serotonin—and serotonin is needed to regulate a pleasant mood, which can combat anxiety. 5-HTP is also a common over-the-counter supplement used for stress relief and better sleep, among other things. While research confirms that griffonia indeed contains this important amino acid, a study in 2011 on mice found that the herb, when put into practice, was just as strong as the scientific theory behind it. And while more studies on humans specifically are very much needed, the results so far are incredibly promising to begin with. 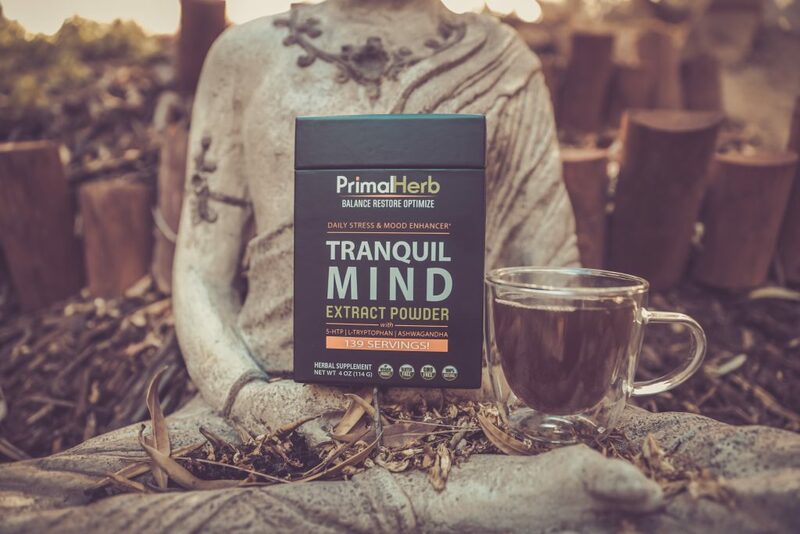 At Primal Herb, we’ve taken all these amazing anxiety-alleviating herbs and blended them together into one powerful, easy-to-take extract powder formula: Tranquil Mind. This botanical anti-anxiety arsenal is also formulated alongside extra additions of L-theanine and L-tryptophan, all-natural occurring amino acids scientifically proven to help improve mood, untangle stress, and help keep the worst anxiety symptoms at bay—naturally!